Cloud Commander v1.2.0 is out. During time between releases a lot work was done about decomposition of server side. On the way a lot modules where made and published on npm. We will talk about it today. Another big changes was with config, and a little bit new features would be too. Let’s start from buffer. 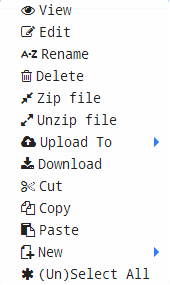 If you use one panel (on mobile device, for example) from now, you could copy and move files and folders. You could do it in two panels too by using menu or hot keys Ctrl + x, Ctrl + c, Ctrl + v, Ctrl + z.
Becouse of new Buffer functions and fact, that it depends on localStorage, new options in Config were added. As you can see appCache was removed, and Directory Storage and Buffer was added. Directory Storage was enabled by default, but now it could be disabled. 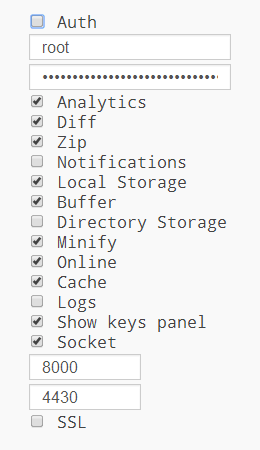 This option adds ability to store directory listings to localStorage. But not everybody thinks it’s useful, so now can rule it whenever you like :). Last time we talked about node modules. About most interesting modules we should talk a little bit more. After combine was renamed to join as mentioned in v0.8.1, it was released as middleware for express. To improve download spead minification could be used, join-io uses minify which minify only when it’s realy needed. I hope you appreciate all this things. It’s not so easy, but realy funny. Have a good time using all this stuff. That is all for today :).